Based in Nashville, Tennessee, singer and songwriter Steven Dunn as an unprecedented passion for music that encompasses every aspect of his life. 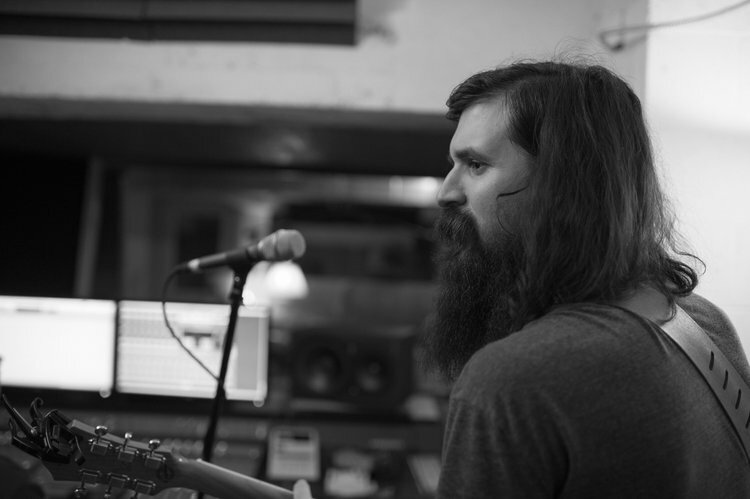 Early in his career, Dunn solidified his presence around Indiana University’s vibrant rock scene and would later move to Nashville in order to expand on his musical endeavors. Since this time, Dunn has been featured on radio, television, and live performances across the United States and Europe. Recently, I had the blessed opportunity to be able to converse with the rock maestro in an interview that I think you will find much benefit in reading. Enjoy! Warlock Asylum: It is certainly an honor to have you as a guest on the news page. The time you have taken out of your busy schedule to answer a few questions and share some of life’s insights is deeply appreciated. However, for our readers that may not be familiar with your persona, please introduce yourself. Who is Steven Dunn? Steven Dunn: Thank you so much for having me! Is this where I have an existential crisis in the interview? Who am I? I guess, short answer, I’m a guy that really loves to be creative and enjoys the art of storytelling. Longer answer, I grew up in southern Indiana on hymns and bluegrass/gospel music. Now I live in the Nashville area of Tennessee with my amazing wife and play rock music. Warlock Asylum: How did you get involved with music and what factors led to your pursuit of a musical career more seriously? Steven Dunn: I started touring when I was sixteen and interned with a recording studio my senior year of high school. I guess you could say I was bitten by the “music bug” early on and I just don’t know how to quit. I was always pretty serious with my approach to music, but as you grow older the desire for stability, and you know to eat a bit better, make you start to shape your career path a little differently. Warlock Asylum: What was life like growing up and how much influence does it have on your creative process? Steven Dunn: I grew up in a religious household in rural Southern Indiana. My parents were public school teachers. My mom quit to stay at home, so there was always an expectation to do well in school. My mom played piano often for church and I would sit on her lap while she’d practice hymns (the song Song For my First Love was written for her and references this). I took piano lessons for about 4 or 5 years starting around the age of 5. At the time I was really frustrated with it and much to my chagrin begged my mom to let me quit and learn guitar. I was a better pianist in 3rd grade than I am now. My dad would always play bluegrass and gospel music in his truck, with the exception of Johnny Cash, who I quickly fell in love with. Though I grew up in a rural community, I often say I got the best of both worlds as we were in close proximity to Bloomington. I could go from working on a farm to an art gallery or watching drag queens play punk rock at Rachael’s Café in a short drive. All of it definitely influenced me and shaped who I am as a creative and a person. Warlock Asylum: What is your opinion of today’s music industry? In some ways, artists have a greater ability to be able to record their music and release product. Others complain about how the music industry has been demoralized and it more about selling a talentless role model than it is about the music. How do you feel about all of this? Steven Dunn: The music industry in the 20th century has always been about selling a product and I don’t foresee that changing. People like to lament about the “glory days” of music and forget the difficulty for people of color or women to be a part of that. There are always people going to be left out of a system like that. We now have the Internet that provides a pretty equal opportunity platform for discovery. If we prop up an industry that puts out “talentless role models” as you say, then can we really blame anyone but ourselves? Warlock Asylum: Indianola is an amazing album! I can hear some classic rock influences in its structure and production. What was your mindset when you were recording this album? Steven Dunn: Thanks so much, I really appreciate that. To be quite honest the mindset was “we’re really poor and have one day to get this done in the studio so let’s work as efficiently as possible”. There are definitely mistakes in it as a result, but I’m proud of it and it’s a snapshot of where I was at for that time. Warlock Asylum: You are working through a musical EP series of releases, “GOD-LOVE-AND-DEATH”. Can explain the concept behind the project? Steven Dunn: I’m a big Johnny Cash fan and I heard that he once said he only wrote about God, love, and death. It gave me an idea to write a concept album series with each album being based on the title. God and Love are pretty self-explanatory. And is a B-sides compilation of songs that always got cut off the list for records for one reason or another. Death is a concept album that follows a serial killer to ask questions on morality. Warlock Asylum: Wow! That is an amazing concept! I can imagine the amount of work behind releasing a musical series. What do you expect to accomplish with this project? Steven Dunn: If people listen to it and are inspired by it, changed by it, or just simply enjoy it, I’ll consider it a success. It would be great if it could reach a wide audience, but I’m not too concerned with it one way or another. Nothing can replace those honest interactions with people who are connected to your art. Warlock Asylum: Where do you see Steven Dunn in the next five years? Steven Dunn: I really hope I’m still making music and that I have a sustainable platform to continue doing that for years to come. Anything else will just be icing on the cake. Warlock Asylum: What advice would you give to those newly interested in making a career in music? Any final thoughts? Steven Dunn: Be willing to eat peanut butter sandwiches out of a van on tour, to work harder than you ever think you’ll have to for little money to make it happen, and to be told “no” way more than you hear a “yes”.